"This drink is good for hot and cold days. It is very Brazilian. All the measurements are approximate but even if they are a little off it is still delicious." 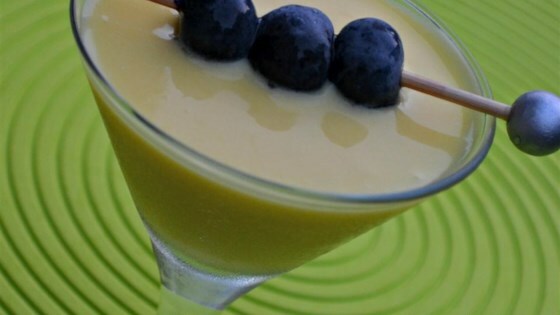 Place condensed milk, mango, and vanilla extract in the bowl of a blender. Blend until smooth, adding milk as needed until the consistency is a little thinner than a milkshake. I didn't have any milk (substituted water) and it stil came out great. Much too sweet. This only made 2 servings... not 5. My mangoes might have been bad, I don't know. It turned greyish yellow, and was very pulpy.